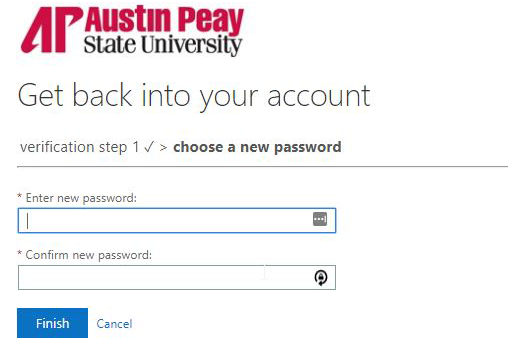 In any browser, navigate to https://passwordreset.microsoftonline.com/?whr=apsu.edu. 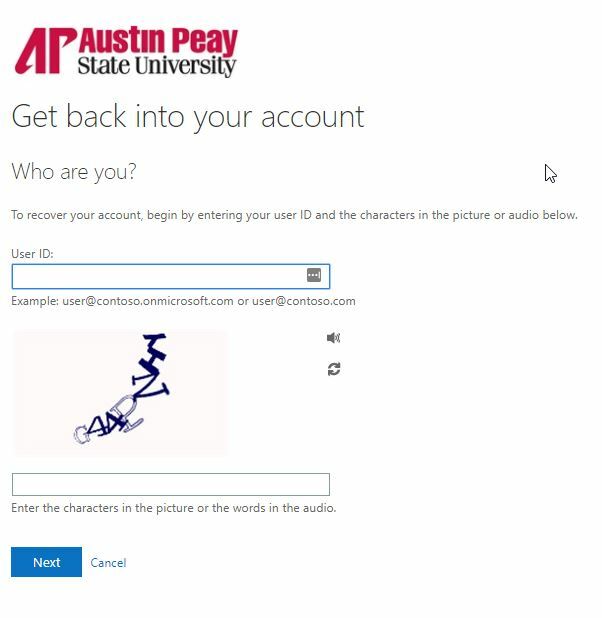 Enter your APSU email address and the characters in the picture. Click Next. Choose I forgot my password and click Next. 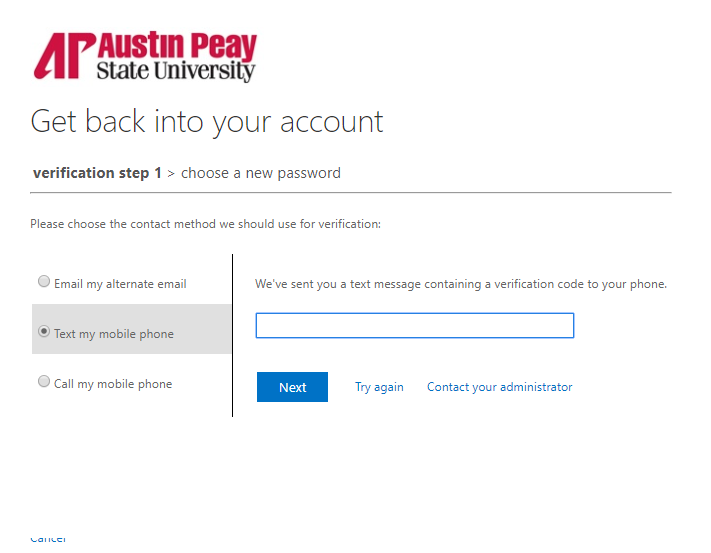 If you choose Email my alternate email, click Email and a verification code will be sent to your alternate email address. Check your alternate email. 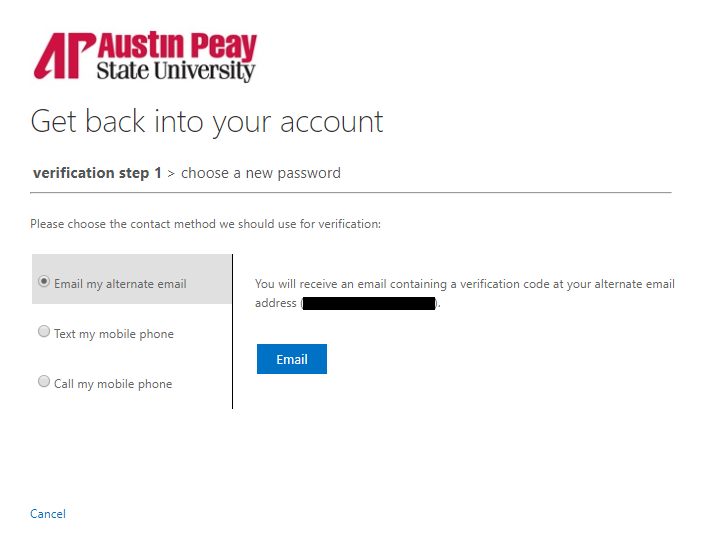 You should see an email from Microsoft that contains your verification code. Input the verification code in the field and click Next. 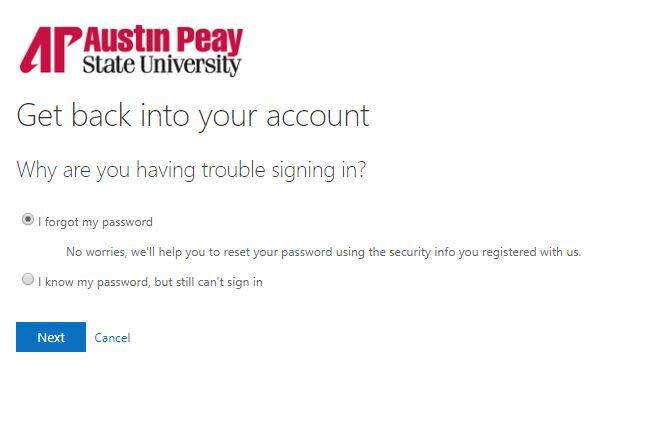 Input your new password twice and click Finish. 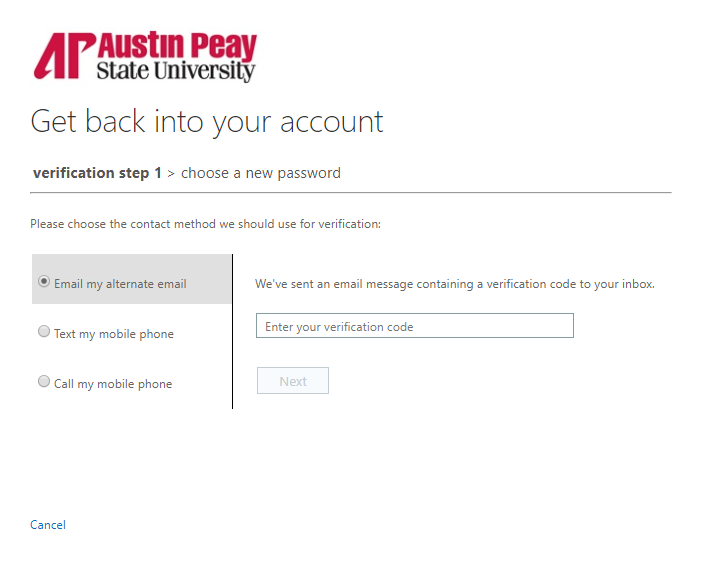 You will see the following confirmation screen that your password has been reset successfully. 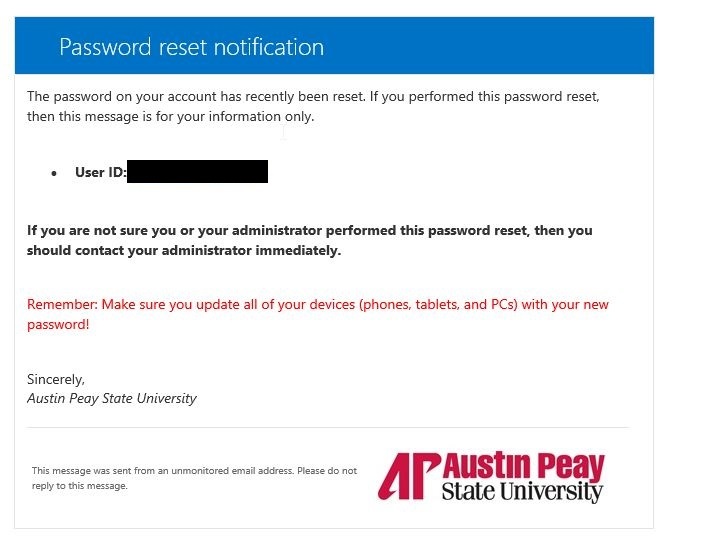 You will receive an email confirmation from Microsoft that your password has been reset successfully. 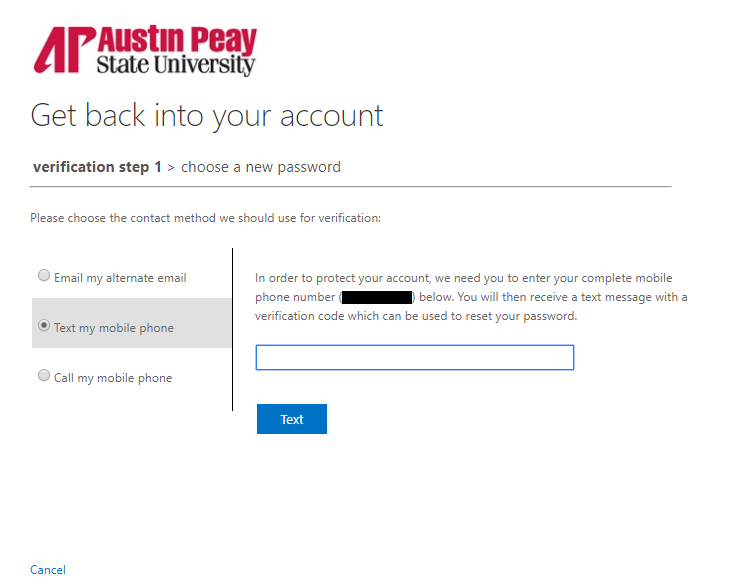 If you choose Text my mobile phone, input your mobile number in the field and click Text. 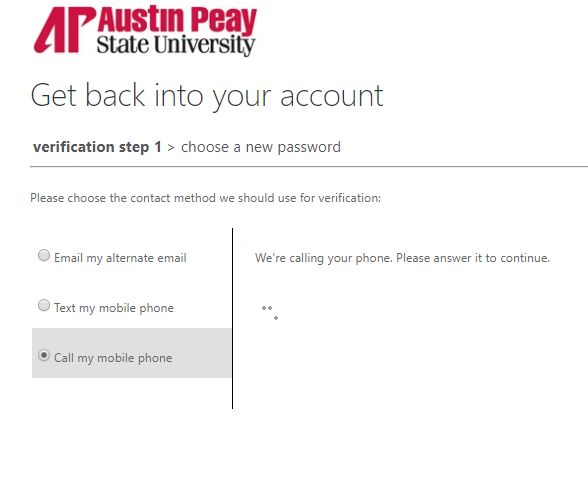 You will receive a text message from Microsoft. Input the code in the field and click Next. If you chose Call my mobile phone, input your mobile number in the field and click Call. 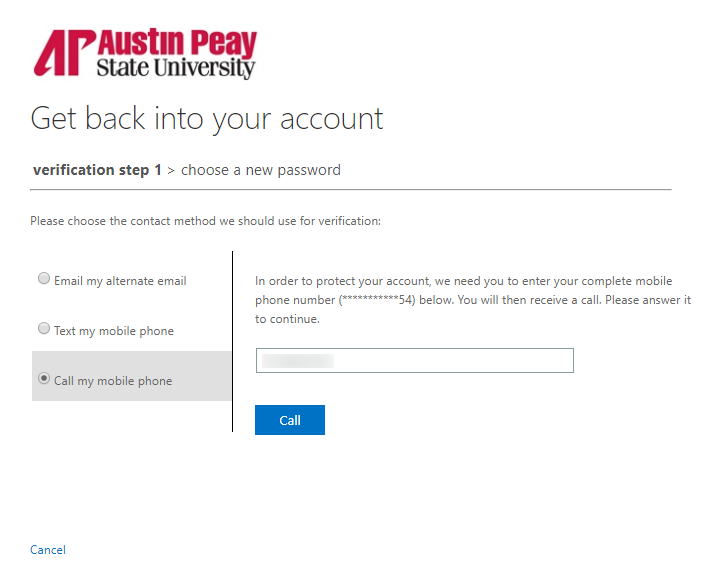 You will receive an automated call from Microsoft. Push the pound key (#) on your phone when prompted.